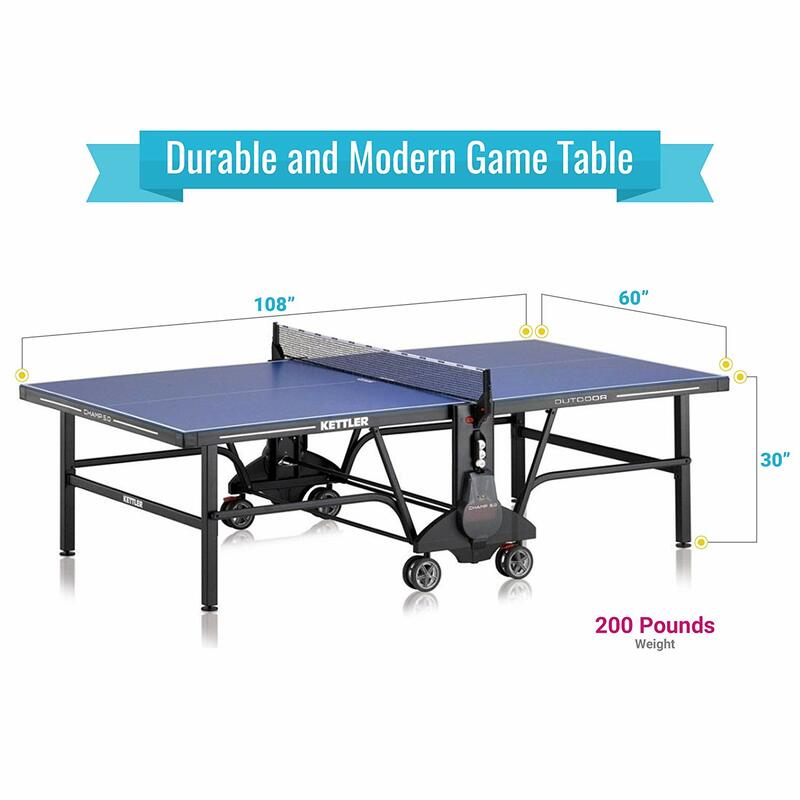 Overall, this is one of the best table tennis tables you will find for around $1000. 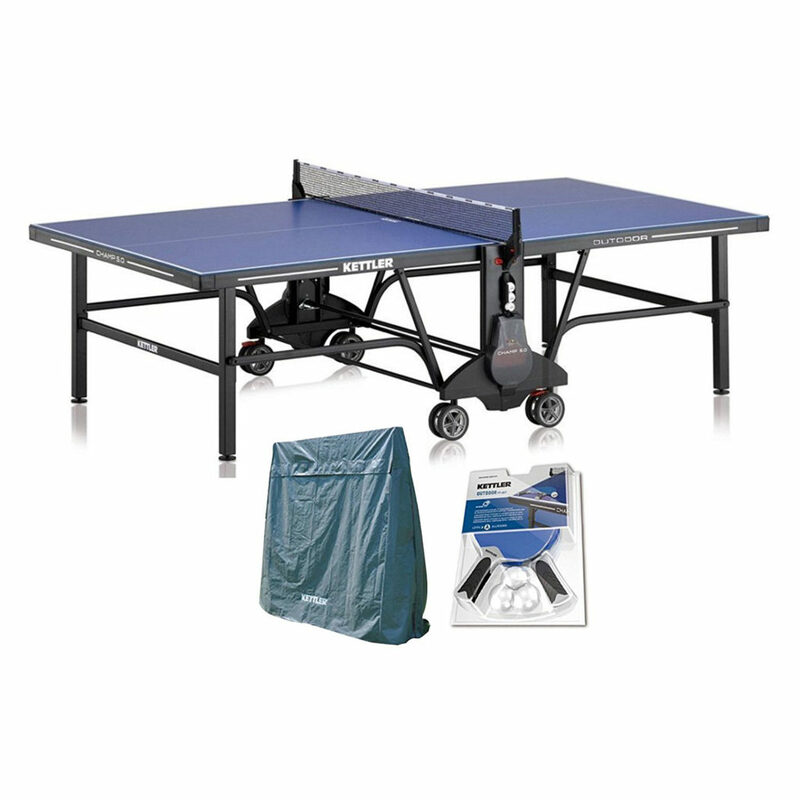 This German-made game table has 2-inch powder coated, galvanized steel legs that resist corrosion. Equipped with 2.25-inch resin apron that prevents warping, it is also engineered to resist damages that harsh sun rays may cause. 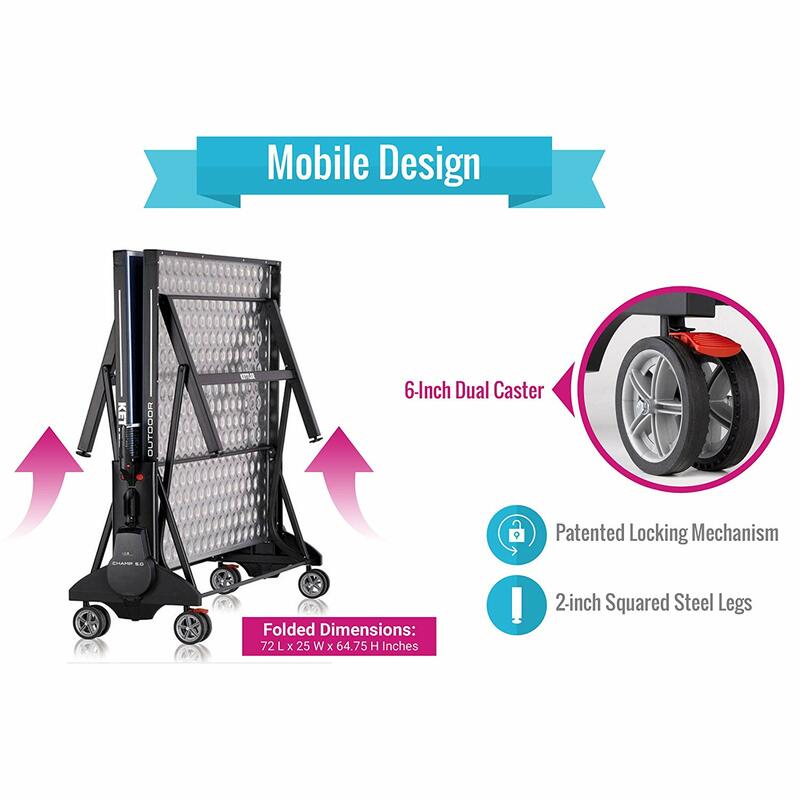 Your product will arrive with all the necessary parts, without defect and/or shipping damage. Well ship new replacement parts or an entirely new table for free. If you still arent satisfied, well give you a full refund. All our items ship for free to your door, but we also offer in-home delivery and assembly for an added fee. Warranty: 5-Year Residential/1-Year Commercial Warranty. Repair or replacement is available during this period at no cost to the purchaser.